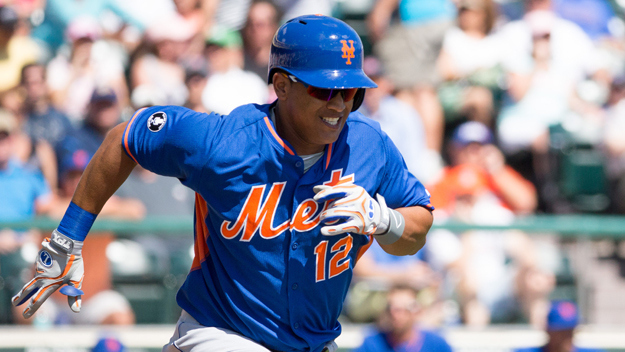 The injury bug struck the Mets once again, Juan Lagares is headed to the DL with a hamstring injury. After winning the center field job outright this spring, Lagares was off to a tremendous start to the season. Besides looking like one of the game’s premier defenders, Lagares was producing at the plate, leading the team with a .318 batting average. 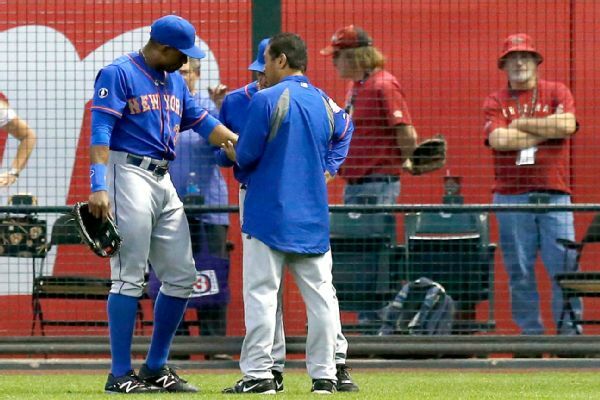 On top of Lagares going down, Curtis Granderson was also injured last night. Granderson injured his entire left side while crashing into the right field wall attempting to make a catch. X-Rays have come back negative but I would expect him to be listed as day-to-day for now. Knowing the Mets, that could quickly change to a DL stint any day now. I know I wasn’t alone in feeling I was reliving the nightmare of watching Jason Bay crash into the wall a few years ago. Don’t shake your head, I know it crossed your mind too. Kirk Nieuwenhuis is the man being tapped by Sandy Alderson to replace Lagares on the roster. Nieuwenhuis, who has spent a fair share of time with the Mets the past few years, is off to a strong start in AAA. So far he is hitting .310 with 2 home runs in his first ten games. Nieuwenhuis has always intrigued me, he is a strong defender who is capable of playing all three outfield positions and has some pop in his bat. He is a hard-nosed player who might have made this roster outright if he could just produce consistently at the plate. More help is on the way with Chris Young due to come off the DL on Friday. Young, who has been on the DL since the second game of the season with a quad strain, has looked good in his rehab assignment games. I haven’t heard anything about his defense, but I know his bat has been hot for a few days now. Assuming he is healthy, Young has already shown in his career what kind of defender he can be and would be a huge help in Lagares’ absence. When Lagares and Granderson left last night’s game, Collins placed Lucas Duda in left field and Andrew Brown in right field. The only thing that could have made that outfield worse was if Todd Hundley was brought in to play center (remember that experiment?). Duda finally looks comfortable at the plate and has been producing as of late. The last thing I want to see the Mets do is once again mess with his head and give him extended playing time in the outfield, where he is clearly not suited to play. For the time being, we have to assume Granderson is not heading to the DL and may only not a day or two off, if any. With that in mind, I think we will be seeing Nieuwenhuis in center against right handers and Chris Young, when he returns, in there against lefties. Brown will get a few starts mixed in there as well depending on the pitching match-up. Lagares is a special defender, but the Mets are well suited to replace him in the short-term with the combination of Granderson, Erich Young, Chris Young and Nieuwenhuis in the meantime, as all of them are solid defenders. I didn’t think I would be saying this, but the question is, will any of them be able to replace his bat in the lineup? Let’s PRAY this is just a precautionary DL stint and Lagares will be fine 15 days from now. It’s always a shame to see players go on the DL, but especially when it’s a young player who was finally making a name for himself. And for God’s Sake, Terry, please keep Lucas Duda away from the outfield.